You wouldn’t treat a sunburn the same way you do the abrasions you get from road burn, so then why would you treat all types of acne the same? By illuminating some of the different types of acne and its causes, you’ll be able to tailor treatment to your specific kind of acne. Although the word “vulgaris” might sound pretty foreign, it is actually from the Latin root word for “common.” This is because this type of acne is the most common. Usually appearing as small whiteheads, blackheads or mini pustules and papules, mild acne vulgaris very rarely causes any pain or tenderness. In fact, blackheads might not even be able to be felt when running your hands over your skin. Generally, mild acne vulgaris is caused by dead skin cells or sebum that clog the openings of pores, causing an infection that appears as one of these acne lesions. Because the infection is usually not very severe with mild acne vulgaris, it is recommended to look for a good scrub rather than internally taking any antibiotics. Even though this form of acne is also common, the infections found in severe acne vulgaris are much more serious and can cause large nodules and cysts that can often be painful and tender to the touch. Nodules, different from the pus-filled cysts, are large, hard bumps beneath the skin’s surface that are not only painful, but can last for months. Because the infections in nodules rarely surfaces, it is absolutely not recommended to try to squeeze a nodule and it will usually just result in scarring. 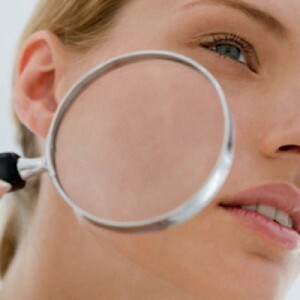 Cysts, on the other hand, often turn white but should not be squeezed as this can only worsen the infection. Dermatologists will often treat cystic acne with oral antibiotics or even cortisone shots to relieve swelling and inflammation. Unlike the previous forms of acne, acne rosacea is characterized by an all-over form of redness that looks like irritated skin, or even a sunburn. 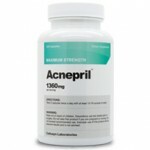 However, acne rosacea can also be accompanied with the cystic or more mild form of acne vulgaris. 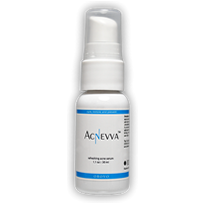 Affecting millions of people, rosacea usually plagues people who are over the age of thirty and has a tendency to start in the cheeks, nose, forehead and chin. This redness is also sometimes accompanied by bumps or more visible blood vessels. Although it is found in women, more severe cases are found in males. If untreated, rosacea can actually cause the nose to swell and excess tissue to grow, a condition called rhinophyma. 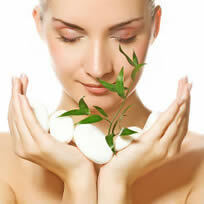 For more information on acne rosacea, visit this site. Rather than using the wrong tool to treat your acne, by learning more about what causes your specific types of blemishes and infections, you’ll have a better chance of fighting acne and getting that clear, smooth skin you’ve always wanted.